A day after Diageo’s announcement, Ian Macleod Distillers announced its plans to revive Rosebank in a project that required two separate negotiations. 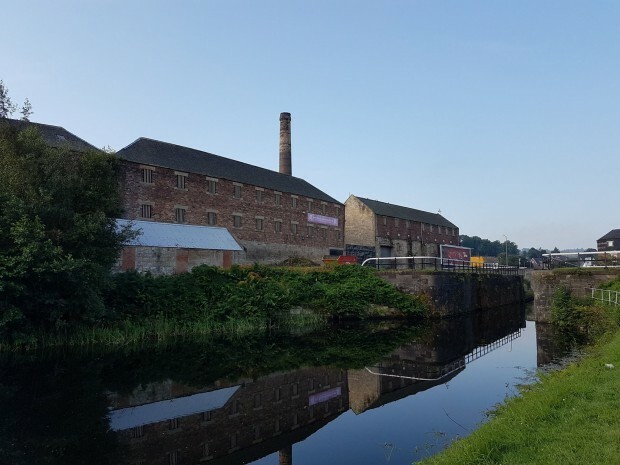 While the former Distillers Company Limited (DCL) had sold off the Rosebank site to Scottish Canals after closing the distillery in 1993, it retained the rights to the Rosebank name and the distillery’s remaining inventory. Ian Macleod was able to acquire both from Diageo, while also acquiring the Rosebank property from Scottish Canals quietly over the past two years. The deal comes as a 25-year moratorium on whisky production at Rosebank included in the original property sale is set to expire. 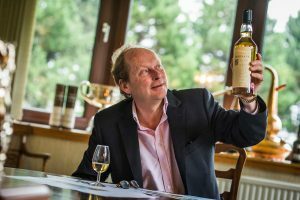 “We’ve got a very close relationship with Diageo and have had for many years,” Ian Macleod operations director Gordon Doctor explained in a telephone interview. “We fill their whiskies, they fill our whiskies, and so we were able to reach some arrangement with them,” he said while not disclosing financial terms of the agreement. The agreement will give Ian Macleod’s team access to the original Rosebank engineering designs at Abercrombie & Co., the Diageo-owned still maker, along with Diageo’s company archive. “We are visiting the Diageo archive over the next couple of weeks to see what they’ve got on Rosebank,” Doctor said, expressing hope that a sample of Rosebank’s original new make spirit might still exist in the archive. Ian Macleod Distillers managing director Leonard Russell. Photo ©Chris Watt courtesy Ian Macleod Distillers. In the quarter-century since Rosebank closed, many of its buildings have been torn down, though the warehouses still line the canal. The stills and mash tun were stolen in 2009, and the project will require that a completely new distillery be built within the existing still house. Doctor said Ian Macleod will apply for planning permission “ASAP” with the hope of beginning construction in early 2018 and distilling at some point in 2019. The project will include a visitors center, and the company is eager to hear from retirees who worked at the original distillery. In the meantime, Ian Macleod is using the whisky stocks it acquired from Diageo to produce a special bottling of Rosebank for release next year, and will release other Rosebank whiskies on a limited basis until whisky from the revived distillery is ready for bottling. Editor’s note: This story has been updated to include a link to our audio interview with Gordon Doctor.